If you ride dirt bikes yourself, then buying a gift for someone who also rides is pretty easy, there’s always something they need but never get around to buying. Whether you’re looking for gifts for a boyfriend who rides dirt bikes, or you’re looking for motocross gifts for Dad, it can be pretty tricky knowing just what to buy. You want to get them something that they will really appreciate and actually use, right. 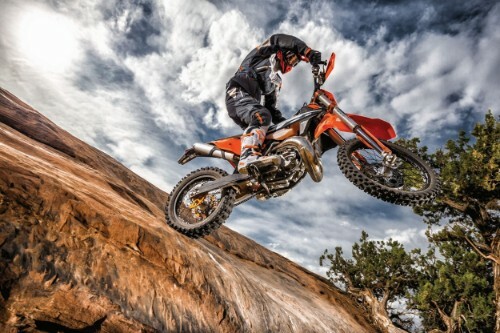 These gift ideas for dirt bike riders will help you with almost any rider. I’ve kept it pretty general so even if they already have most of their gear, you can find something in this list that will be used and appreciated. I have kept the prices all under $70 (with the exception of the MOJO footpegs). Any dirt bike rider enjoys flicking through the latest Dirt Bike magazine. I grew up on this stuff. There’s always amusing articles and shootouts comparing the latest bikes, riding, and setup tips. You can’t go wrong here. 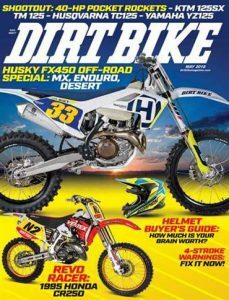 You can subscribe to Dirt Bike Magazine here on Amazon. Dirt Bike and Motocross gloves get a pretty tough life, so don’t generally last too long. They are a lot thinner than road bike gloves, so wear out fairly quickly. A new pair of gloves will always be a great gift. I always carry a spare pair in my gear bag. 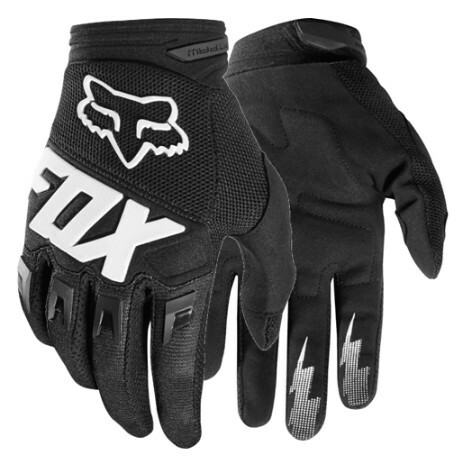 There are heaps of reviews on Amazon about the Fox Racing Dirtpaw gloves and almost all give them a 5-star rating. If you want to see what others are saying, click below. A new pair of goggles will always be welcome even for a second pair to keep in the gear bag. 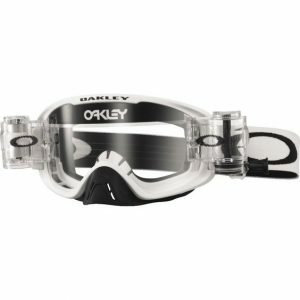 The Oakley 02 MX goggles are a popular choice. You never know when you need another pair if it’s been a muddy or extremely wet day’s riding. For multi-day trail rides, it’s always great to have a spare pair in your gear bag. This is a gift that will always be used. This is my personal choice for goggles, and I can’t fault them. I had numerous pairs over the years, and these are as good as any I’ve used. A cool riding jersey is always a nice gift. Again, it’s always good to carry a spare in your gear bag. 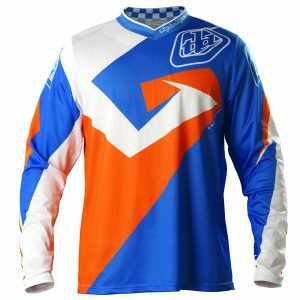 The Troy Lee Designs Air Vega Men’s MX Jersey is one that any rider will love. Troy Lee Designs is a well-known brand in the dirt bike world, renowned for good design and quality products. You can’t go wrong with this for a gift. Dirt bike riding requires you to carry a lot of gear. Rather than just throwing all your gear in the back of the truck or van, a gear bag helps you keep everything together for easy transporting. A good gear bag is a must for any dirt bike rider. 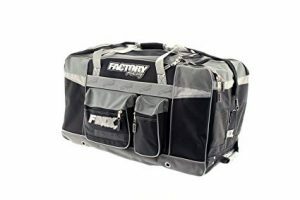 With the Factory MX Gear Bag, you can store all your gear in one place and they have enough room for your helmet, goggles and gloves, body armor, riding Jersey and pants, and a separate boot compartment. Or if you like to keep your helmet in a separate bag, there’s room for spare pants, jersey, goggles etc. It has heaps of 5-star reviews on Amazon. Click below to see what others are saying about this bag. A good quality Multi-Tool like the Leatherman Wingman is a great gift for anyone, not just dirt bikers. Mountain bikers, bushwalkers, campers, anyone who loves the outdoors will make use of this. 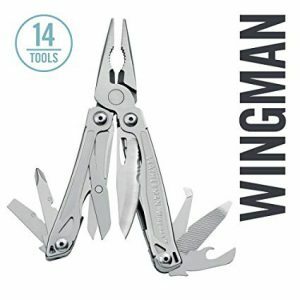 The Leatherman Wingman is equipped with 14 tools including a knife, pliers, screwdrivers, wire cutters, and wire stripper, scissors, a package opener, bottle and can openers, a file, and a ruler. It comes with a 25-year warranty and has literally thousands of positive reviews on Amazon. Click below to see what others are saying about the Leatherman Wave. This is something that is always essential for trail riding. The Ogio MX450 is a bag only toolkit, as there is no point buying one that comes with tools if they already have a good tool selection, and that’s really getting too specific for a gift anyway. This bag is suitable for any outdoor activity, not just dirt bike riding. It is suitable for skiers and snowmobile riders, bushwalkers, tradesmen who need to carry lots of tools with them, any outdoor activity where you need to carry a bit of gear with you. 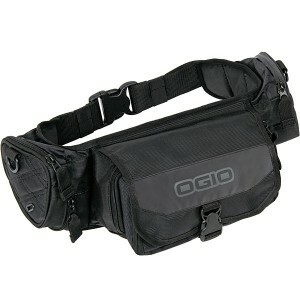 Ogio is a well known and respected brand in Toolkits and Hydration packs. This bum bag has numerous separate pockets within the tool compartment, plus two side pockets which are ideal for your wallet, cell phone, keys etc. There is also a water bottle holster on the left side pocket, which is a great idea if you use it for hiking. A hydration pack makes a great gift for anyone. Whether you’re a dirt biker, mountain biker, cyclist, bushwalker, climber, adventurer – all make good use of these. 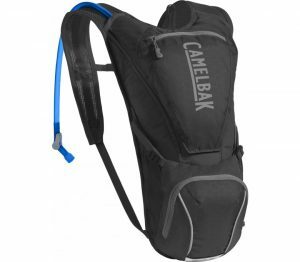 The Camelbak Rogue is a good size pack for day trips. They come in all sizes, depending on what you are using it for, but the Camelbak Rogue is a popular smaller size. It has 2-liter water bladder and 2 exterior pockets to carry things like phone, keys, wallet, snacks etc. It has a breathable mesh back panel, which allows air to circulate and helps prevent you getting a sweaty back on hot days. Behind the bottom pocket is an open-air compartment with 2 compression straps, which is ideal for storing things like a light waterproof top. Any dirt bike rider would love to add some bling to their dirt bike to give it that ‘Factory bike’ look. Anodized aluminum footpegs certainly look cool, and dirt bike footpegs get a pretty hard life also, so a new set is always a good idea. 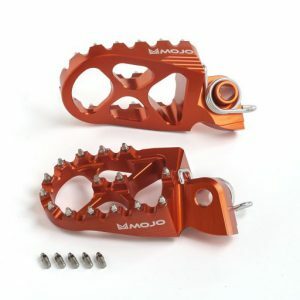 MOJO Motosport also have a whole range of other anodized aluminum parts for the bike like the clutch and brake levers, rims, hubs etc to make the bike look trick. You will need to know the bike’s make, model and year to order the right part. 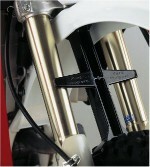 The Front Fork Support Brace fits between the bikes front fender and wheel. It prevents damage to the bike’s fork seals and springs during transport. You can strap the bikes down securely and not worry about damaging your front forks. I wouldn’t be without one, so this would be a very useful gift for someone that doesn’t yet have one. For a few bucks, you can avoid expensive suspension damage. Dirt Bike grips are something that don’t tend to last a long time, especially in competition. They’re a relatively cheap item for a dirt bike, so you can afford to change frequently. When buying these for a gift, it might pay to check out the ones that are currently being used on their bike and go for something similar. There is such a wide range of grips available, and everyone has their own personal preference. Some riders like a soft compound that is good for absorbing vibration and reducing arm pump. Other riders like a firmer compound grip that is more durable. There are 3 basic patterns: Waffle, Diamond and Pillow Top and again this is personal preference. 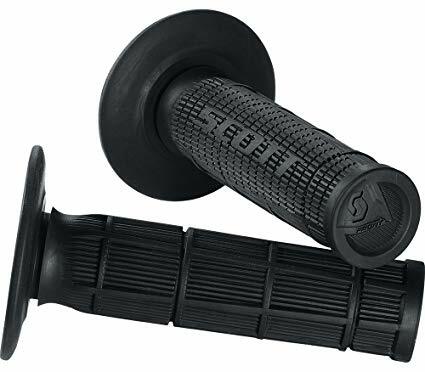 The Scott Sports Radial Half Waffle Grips (pictured) are a ‘middle of the range’ sort of grip which is very popular. For a review on 8 of the best grips available today, check out my post: 8 Best Dirt Bike Grips It will help with your selection. I hope this gives you some ideas for a gift for a birthday, Christmas, Fathers Day for the dirt bike rider in your family. I would be happy with any of these gifts. Take it from someone who has spent a lifetime riding dirt bikes, these are some things we wish people would buy us. If you have any other gift ideas for dirt bike riders, please share your thoughts with readers in the comments section below.